Chances are you have a cat lover amongst your friends or family, a little girl perhaps? Whoever they are, they are sure to love this little lovely kitten who looks like she is ready to pounce on a ball of yarn. For more free designs every day follow us on Facebook. Link to the free pattern is below. 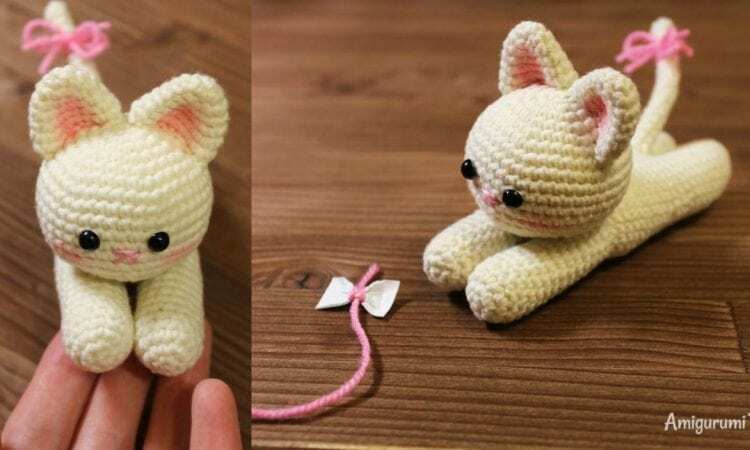 Lying Kitten Amigurumi – Free Crochet Pattern is here. Don’t forget to Like us on Facebook. Share your ideas and your work on our Facebook group!